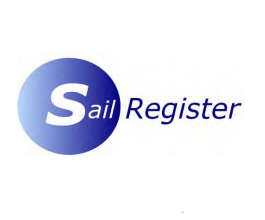 Under brilliant blue skies, this year's Noble Marine Streaker National Championships was held at Carsington Sailing Club in Derbyshire from Friday 29th June to Sunday 1st July. 35 boats took part, including 2 from Scotland. Although the breeze was light for the training on the day before, all three days of racing featured winds from 10 knots, predominantly from the north-east, with plenty of shifts and, especially on the Saturday, some much stronger gusts. The race team did an excellent job of course setting in the shifty conditions. Tom Gillard first won the Streaker Nationals back in 2010. Since then he has only been beaten to the trophy once and for most of this time his main rival has been Ian Jones, who was runner-up last year. True to form, this year's event immediately carried on from where last year's battle left off with Gillard and Jones in top form, plus several others ready to prove themselves. In the last 12 months some really good sailors have joined the fleet and the competition was bound to be hot. Race 1 saw Jones leading at the first windward mark while Gillard was a few places back. Veronica Falat was in 2nd place for most of the first lap but Gillard was soon fighting for the lead with Jones and these two had their own private battle until Gillard got clear and took the win. Behind them, Phil Manning made some big gains and squeezed past Falat to take 3rd place. Race 2 was a more straightforward affair for Gillard who sailed off into the distance on the first beat. Ian Priest, sailing the newest boat in the fleet, followed along in 2nd, while Jones had to fight off a bunch of five or six other boats to take 3rd. Therefore, with two wins under his belt, Gillard came ashore on Friday with a 3-points lead. On Saturday morning two races were sailed in a breeze that became increasingly gusty and unstable. There were some alarming moments when the breeze seemed to switch off suddenly and capsizes to windward caused grief to a few and great amusement to others! In Race 3 Jones took the lead early on and stayed ahead to the finish. Gillard came in 4th, behind Martin Penty and Phil Manning. This meant that Gillard and Jones were now equal on points. Game on! In Race 4 a group of four boats got clear and had a high-speed race which finished with Gillard 1st, Jones 2nd, Isaac Marsh 3rd and Manning 4th. The fleet then came ashore for lunch and a bit of a rest! The breeze had been veering during the morning and so the course was re-set as a triangle-sausage course because the wind direction wasn't allowing enough space for the trapezoid we had used until then. Race 5 was the windiest race of the weekend and Isaac Marsh made the most of it, charging off into the lead for a good win with Manning 2nd and Gillard 3rd while Jones was back in 7th. After five races the discard kicked in and so Gillard ended the day on 6 points to Jones's 8. However, Race 6 on Sunday morning had all the ingredients to make it a frustrating experience for Gillard and to leave the Championship wide open again. The breeze was lighter than the day before but just as shifty. For the only time in the event there was a general recall plus a slight delay as the windward mark was re-set. When the race eventually got going, Jones and Falat worked the right-hand side of the beat and, along with Mark Langston, were the leaders at the first mark. Jones then caught a good gust on the first reach which shot him off into the distance while everyone else sat there watching! Falat held on to 2nd place for a lap or two but Marsh and Gillard caught her up. For a while it looked like Gillard might get through to 2nd place but on the final beat he ran out of favourable shifts (in fact ran out of breeze completely!) while Falat regained 2nd and Marsh took 3rd and these were the finishing positions. Jones was now right back in with a chance of winning the championship. With just one race to go, he had a 1 point lead. Everything now depended on Race 7 – and Gillard made no mistakes. At the start, he held Jones to windward of the committee boat. When the gun went Gillard could accelerate away but Jones couldn't. The leaders on the first beat were a bunch of boats that had started at the port end of the line; first round the windward mark were Ian Priest, Debbie Degge and Lucy Priest. Gillard rounded in 4th and then picked off the boats ahead during the next couple of laps, to eventually finish the race with a good lead. Jones meanwhile had recovered from being back in the teens for much of the race but his 7th place wasn't enough to help his cause. Tom Gillard was the championship winner again!